Welcome to the latest monthly round up of news and events relating to the poet Dylan Thomas. Exactly sixty years to the day that Dylan Thomas died in New York, members of the poet’s family joined members of the Dylan Thomas Society to lay a wreath at Thomas’s memorial stone in Poet’s Corner, Westminster Abbey. The short service on November 9th included readings of Dylan’s poetry, a rendition of the Rev Eli Jenkin’s prayer by Dylan’s son-in-law Trefor Ellis, and concluded with final prayers after Dylan’s granddaughter Hannah Ellis had laid the wreath. Swansea’s Dylan Thomas Centre was the venue on November 21st for the official launch of the 2014 Dylan Thomas centenary celebrations. 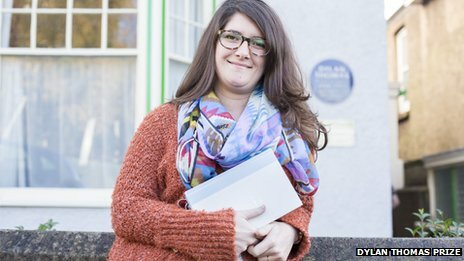 Speakers included the Welsh Education Minister Huw Lewis, and Dylan Thomas’ granddaughter Hannah Ellis who said that she hoped the centenary would celebrate her grandfather’s “witty humour and sense of fun”. Literature Wales Chief Executive Lleucu Siencyn introduced a live performance showcasing the Dylan Live element of the Developing Dylan education project that combined music and spoken word to evoke New York in the 1950s, and National Poet for Wales, Gillian Clarke, spoke about how Dylan’s Collected Poems was the first book of contemporary poetry she had owned. Clarke also recalled her father, who had worked at the BBC studios when Dylan recorded there, telling her that Dylan “filled the studio with chaos and beauty”, and she concluded the event with a reading of Dylan’s Do Not Go Gentle Into That Good Night. The event also marked the publication of the DT100 Autumn & Winter event programme, which can be downloaded here. 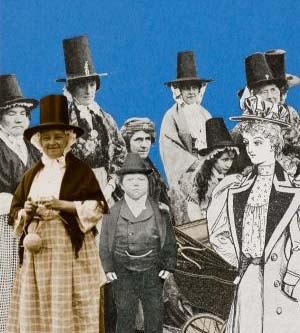 Following the Swansea launch of the centenary celebrations, attention switched to Cardiff for the opening event, when the landmark exhibition of Sir Peter Blake’s illustrations for Dylan’s Under Milk Wood was opened at the National Museum of Wales by First Minister Carwyn Jones. The event, which was attended by 400 guests, also showcased other centenary projects, and included a performance of the opening to Under Milk Wood. On November 25th BBC One Wales screened a documentary about Sir Peter’s 28-year project which included contributions from Ronnie Wood, Pete Townshend, Damian Hurst, Cerys Matthews, Jeff Towns, and Hannah Ellis. The exhibition runs at Cardiff until March 16th 2014 before transferring to Oriel Y Parc, St David’s, Pembrokeshire, from May 17th 2014. 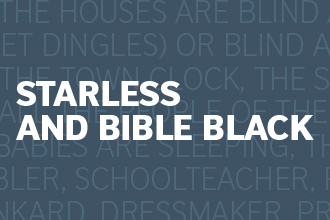 The British Council launched their project to promote Dylan Thomas internationally, Starless & Bible Black, at an event in Cardiff on December 11th. The National Museum of Wales was the venue for the event which showcased elements of the project including a preview of Theatr Iolo’s production of Dylan’s Adventures In The Skin Trade, new music for harp by Chris Marshall performed by Claire Jones, and a spoken word and music performance from the Dylan Live project. On November 27th Welsh Assembly member for Swansea West, Julie James AM, opened a short debate at the Senedd on the subject of The Benefits of the Dylan Thomas Centenary for Wales. The debate included a good round-up of centenary activities and talked about how important Dylan’s legacy is to Wales. The possibility of creating an annual Dylan Day celebration was also mentioned. The debate can be watched here. Hannah Ellis gave an interview to the CADW magazine where she talked about her love of Laugharne Castle and plans for the celebration of her grandfather’s centenary. The Colour of Saying a new short film inspired by the life and work of Dylan Thomas was shown for the first time at Chapter Arts Centre in Cardiff on November 9th. The film, created by musician Richard James and artist Anthony Shapland, features images and music inspired by the landscapes of Dylan’s west Wales. A Q&A with the film makers hosted by Hannah Ellis followed the screening. The film will be on tour during 2014. The 2013 Dylan Thomas Prize was awarded to US writer Claire Vaye Watkins for her short story collection Battleborn. Lead singer of rock band Stateless, Chris James, has recorded a new song in tribute to Dylan Thomas. The video for The Force (Song for Dylan) can be viewed here, and the song can be downloaded for free here. Singer songwriter Al Lewis has released a single inspired by Dylan’s A Child’s Christmas In Wales. The video which was shot on location in Swansea including at Dylan’s birthplace at 5 Cwmdonkin Drive, can be seen here. Chepstow’s Drill Hall was the venue on November 23rd for an event that celebrated the occasion when the town was the intended liaison point for the funeral cortege of Dylan Thomas as it travelled from Southampton to Laugharne in 1953. The event included a screening of the 1972 film version of Under Milk Wood, which was followed by readings from Dylan’s work and songs from the period. Footage of the event can be viewed on youtube. December 6th 2013 brought the sad news of the death of legendary British jazz musician and composer Stan Tracey. Tracey’s 1965 Under Milk Wood suite, inspired by Dylan’s play for voices, is regarded as one of the finest British jazz recordings. In recent years Tracey had returned to the work of Dylan Thomas to record his interpretation of A Child’s Christmas in Wales which he performed at the Dylan Thomas Centre in Swansea in 2012. Read Stan Tracey’s biography here. Further discussions have taken place about the possibility of creating an annual international Dylan Day to celebrate the life and work of Dylan Thomas. 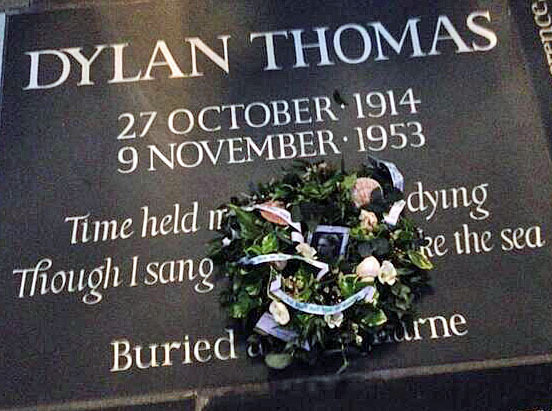 The matter was mentioned in the Welsh Assembly debate on the Dylan Thomas centenary, and was also discussed by the Swansea 2014 Coordinating Group who voted in favour of choosing May 14th for the celebration. May 14th is the anniversary of the first ever cast performance of Dylan’s Under Milk Wood that took place at the 92Y Poetry Center in New York in 1953. Dylan’s Birthplace have also come out in favour of this date. The debate continues…. During May & June 2014, University of Wales Trinity St David will be hosting a two-week residential summer school for international students. Organised by Dr Menna Elfyn the school will focus exclusively on the legacy of Dylan Thomas as a catalyst for creative writing. A number of internationally renowned writers will be giving lectures, workshops and master classes in Lampeter and Swansea, with visits being arranged to significant locations associated with Dylan. 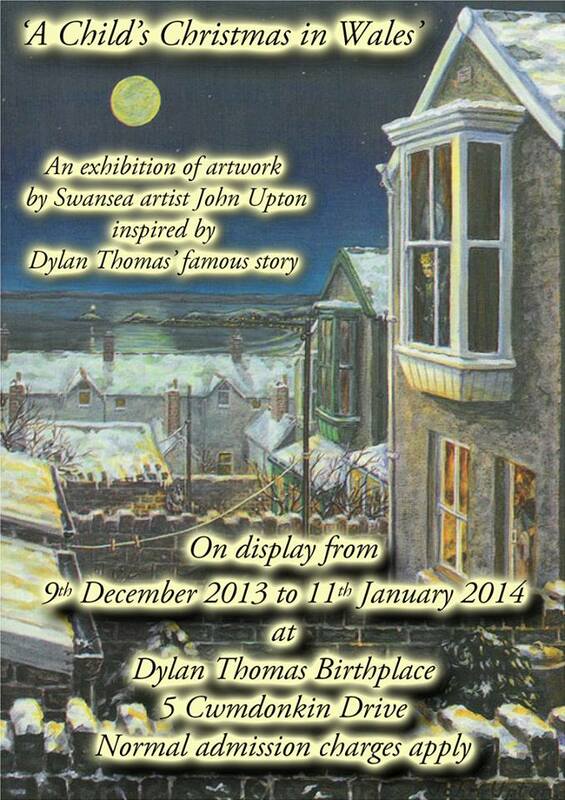 An exhibition of artwork inspired by Dylan’s A Child’s Christmas in Wales by Swansea artist John Upton is on display until January 11th 2014. Christmas At The Dylan Thomas Boathouse, with a performance of A Child’s Christmas in Wales by Mark Montinaro. December 15th. 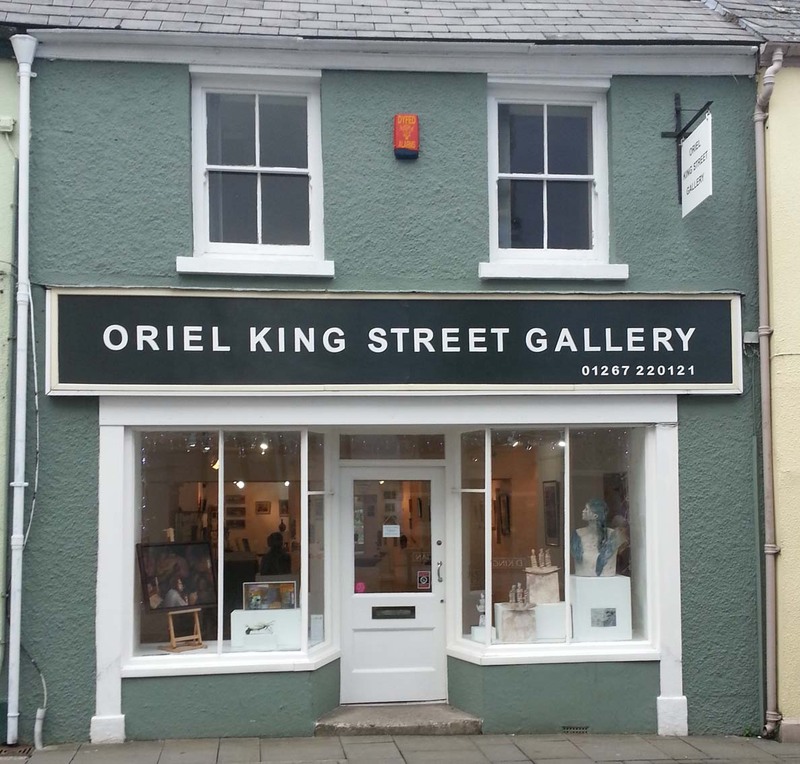 The King Street Gallery in Carmarthen is holding an open art exhibition on the theme of Dylan Thomas. The exhibition runs throughout December. Brecon’s Theatr Brycheiniog is staging Dylan Today an exhibition designed and created by the students of the Performing Arts Academy (Coleg Powys) that looks at the world of Dylan Thomas interspersed with modern interpretations of his works and words. The exhibition runs from January 10th-24th, with a live performance on January 15th. 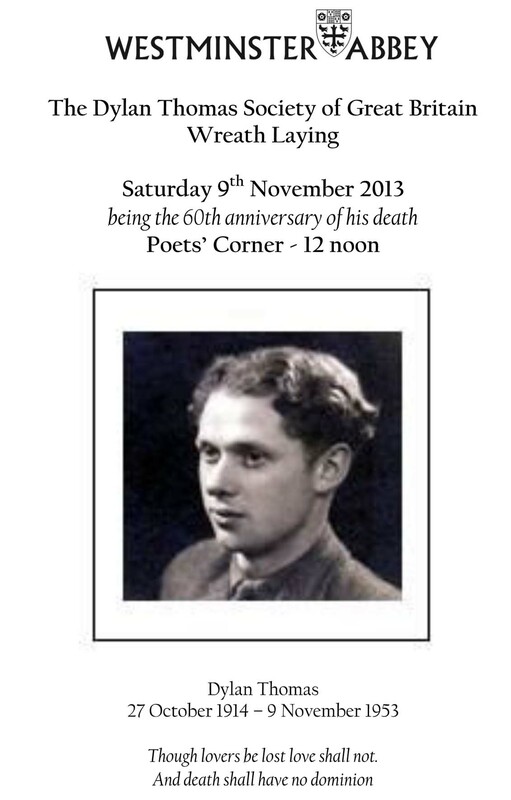 Poet in the City celebrates the Dylan Thomas centenary by exploring his life and work. Speakers include former Welsh Laureate Gwyneth Lewis, poet and broadcaster Owen Sheers, and Thomas biographer Andrew Lycett. 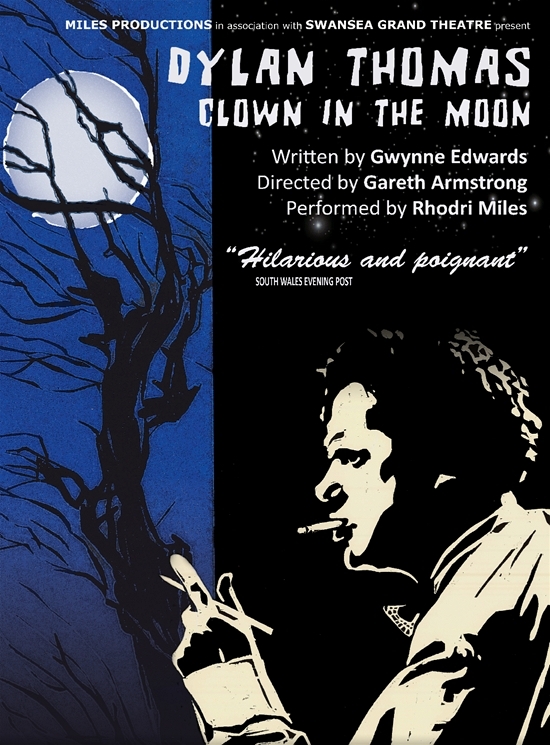 Dylan Thomas: Clown in the Moon by Gwynne Edwards, directed by Gareth Armstrong. Rhodri Miles stars as Dylan Thomas, first in Swansea, then London, Laugharne, and finally New York. Dylan’s early life become darker as he finds it more difficult to write, his marriage fails, and his health grows worse. 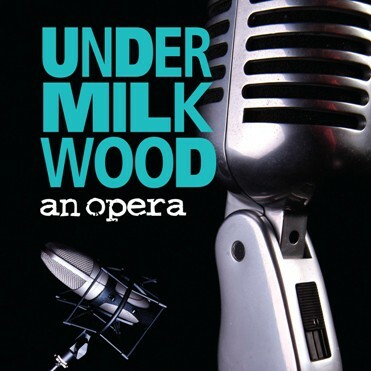 The Theatre Clwyd production of Under Milk Wood directed by Terry Hands will go on tour. A Welsh jazz quartet will be performing Stan Tracey’s classic jazz suite Under Milk Wood. Screenings of the 1972 big screen version of Under Milk Wood starring Richard Burton. Tricycle Theatre, Kilburn High Road, London, January 12th. Director Andrew Sinclair will be interviewed by Peter Florence following the screening. An opera based on the original play for voices has been composed by John Metcalf. A world premiere production by Taliesin Arts Centre in co-production with Le Chien qui chante (Montreal) & Companion Star (New York) and in association with Welsh National Opera. Read John Metcalf’s interview for Wales Arts Review. The curtain raiser for the centenary celebrations, Sir Peter Blake’s 25-year project to illustrate scenes from Under Milk Wood, “Llareggub”, exhibits at the National Museum of Wales, Cardiff, until March 16th 2014. The following special events will take place during the exhibition. St David’s Day Family Fun – A celebration of Dylan Thomas with singing, poetry, music, stories and creative workshops, March 1st. The Sir Peter Blake Llareggub exhibition will transfer to Oriel Y Parc, St David’s, Pembrokeshire from May 17th – September 23rd. Swansea artist Jeff Philips will exhibit his series of artworks The Life & Times of Dylan Thomas. Swansea’s Lighthouse Theatre have a number of Dylan Thomas related productions planned. Lantern Theater, Philadelphia, December 5th – January 5th – The world premiere of a new adaptation with puppetry. First Presbyterian Church of Austin, Texas, USA, December 22nd – This is the 6th annual performance of this production and the artists involved have produced a recording that can be heard here. 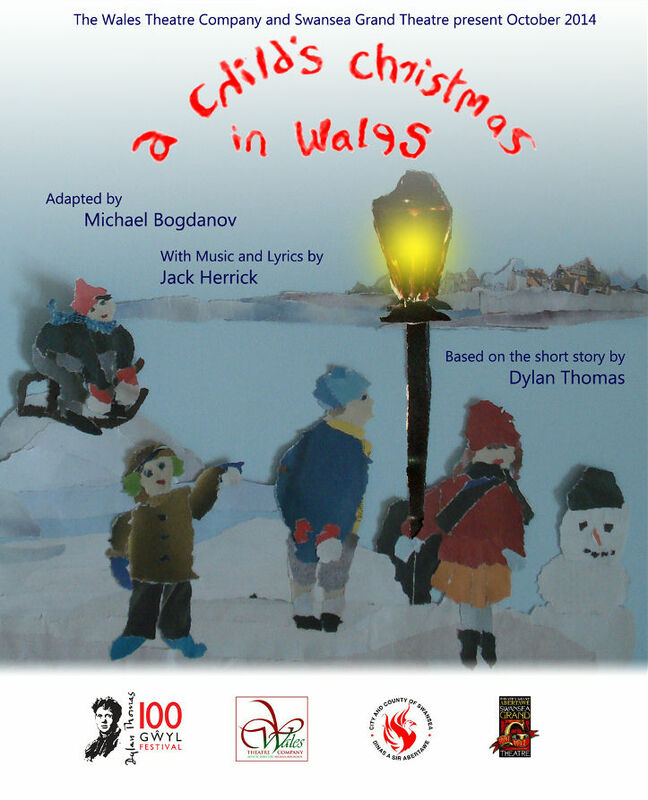 A touring production of A Child’s Christmas In Wales adapted by Michael Bogdanov and presented by the Wales Theatre Company and the Swansea Grand Theatre will be touring theatres across Wales from October 2014. The National Library of Wales will stage a major multi-media exhibition of material relating to Dylan Thomas as part of the centenary celebrations. The exhibition, which will include Thomas manuscripts not exhibited before, will run from June 28th 2014 – December 20th 2014. A public symposium will provide a finale to the exhibition , December 5th & 6th 2014. This will include a showing of Andrew Sinclair’s 1972 film adaption of Under Milk Wood and an interview between the director and Damian Walford Davies, as well as a number of guest speakers lecturing on a range of topics themed around the study of Dylan Thomas and his work. Look out for the Dylan Odyssey series of Dylan Thomas themed tours devised by Literature Wales, and keep an eye on the Dylan Weekends website which will detail events at the three special Laugharne festival weekends planned for May and September 2014. These will celebrate different aspects of Dylan’s talent and each weekend will be curated by different artists. 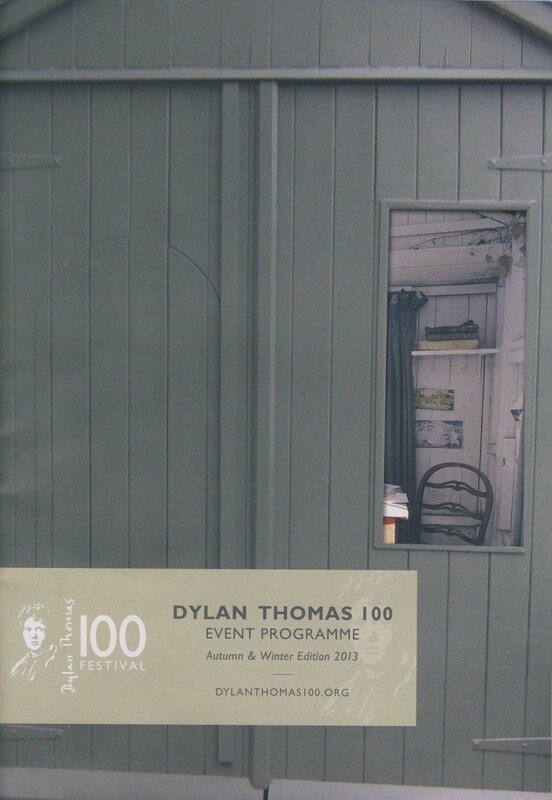 For more information on the official Dylan Thomas centenary celebrations check out the www.dylanthomas100.org website. If you are planning to stage a Dylan Thomas related event and would like to be listed on our blog then please let us know.